Everyone wants to be like facebook. I keep forgetting the name of the damn project and I always type it into Google wrong. Anyway. 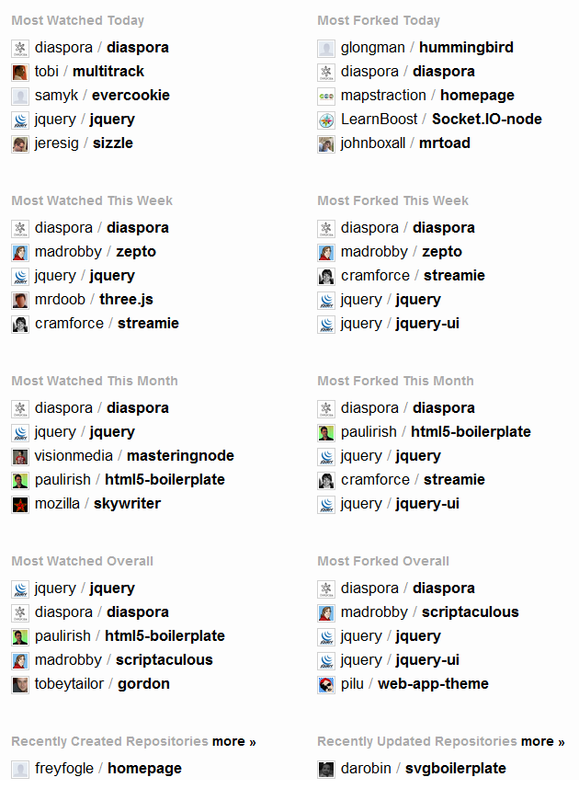 Diaspora has momentum. And it looks like a Ruby project too? Looks like Ning/Edmodo etc. have their work cut out competing with this open source monster. Although we have been here before with open source/free social networks. I feel a touch of de ja vou. Wasn’t there a project called open social or something? Anyways.. If you care, good for you. Social networks aren’t productivity tools. Posted in social network No Comments on Everyone wants to be like facebook. I may be slow to catch on and thanks to Jann Webb for pointing this out but I do think TwitterSheep is a great tool for researching someone’s interests in a super easy way. Love is a word relative to my interests.. Weird! Social media are media designed to be disseminated through social interaction, created using highly accessible and scalable publishing techniques. Social media supports the human need for social interaction, using Internet- and web-based technologies to transform broadcast media monologues (one to many) into social media dialogues (many to many). It supports the democratization of knowledge and information, transforming people from content consumers into content producers. Businesses also refer to social media as user-generated content (UGC) or consumer-generated media (CGM). Email does allow multiple recipients. Email is user generated. Email is a form of Social Media. Email as a standard (SMTP) has been used for years and will continue to be used. It is one of the oldest protocols used on the Internet today. So why do some people forget that Email is a social media tool? Who broke email’s social appeal? Blame your boss. The phycological impact of using the same tools at work as at home is measurably negative. We like the ability to separate our work and play and we consider “socializing” a play event. Play is something you do with friends & people with similar interests. Can you say that is true about all of the people you work with? Do we need to fix email’s social appeal? Not really.. We seem to know it’s place in society, we like where it is. We will keep using it for what it is. Having alternative media platforms such as micro blogging, blogging and other platforms where you control who can send and receive posts is what I would call “Controlled Social Environment”. PS I hate the term Social Media. 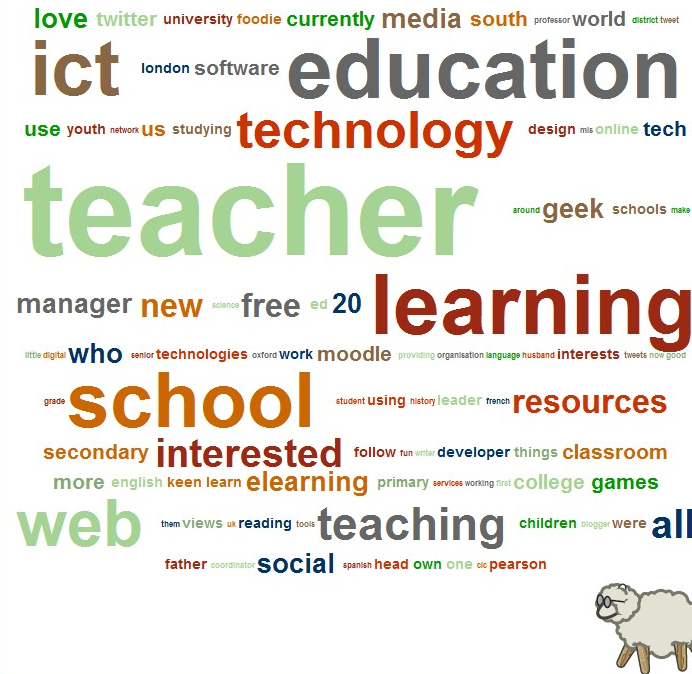 Educationalists come up with these ridiculous terms to try to summarize a new tech in as few words possible – get over it. I got bored the other night and created a “Facebook for teachers” type service that allows teachers to login and resource share. I’m not sure if it will be popular, it gets about 1 sign up a day, by my reconning thats quite good but I’m not entirely convinced. Anyway’s Iv’e been looking at different styling options and come to the conclusion that I want to keep it simple, no big graphics or logos, just simple rounded edges and some colour coding for subjects.. I guess I wanted to give teachers somewhere they could share/edit lesson plans and be rewarded for contributing.. It also enables teachers to share ideas, have discussions, create groups of friends.. Everything you would expect from a facebook type environment is there.. I recognise that names must be removed and data protection must be fulfilled and I hope that no head teachers use the system to monitor their teachers plans..
As always with new systems like these there will be lots of people snarling and highlighting the short falls. For now I will concentrate on the positives and see where it takes us..